One of UK television’s most successful independent producers is being honoured at the University of Ulster’s Coleraine this week. 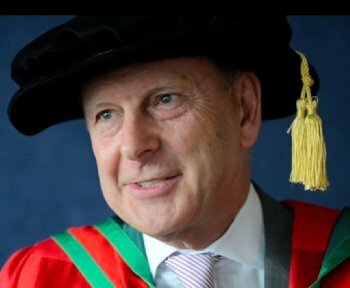 Paul Smith CBE, the founder and chairman of the global light entertainment company Celador Entertainment Limited, the umbrella company for Celador Films, Celador Radio, Celador Theatrical and LUSAM, will receive the honorary degree of Doctor of Science (DSc) for services to media and enterprise. Since it was formed in 1983 as an independent production company, Celador has produced numerous popular light entertainment shows, including ‘Who Wants to Be a Millionaire?’ The company co-produced the film ‘Slumdog Millionaire’ that won seven BAFTAs, four Golden Globes and eight Oscars, including Best Director and Best Picture in 2009.